MONTREAL, QUEBEC--(Marketwired - April 28, 2016) - Urbanimmersive, (the "Company" or "Urbanimmersive") (TSX VENTURE:UI), the real estate content marketing marketplace, is pleased to announce the availability of a multilingual version of its content marketing marketplace, the newest addition in UI's efforts to expose its solution to the global real estate market. 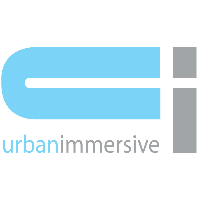 The new multilingual version is now offering French, English and Spanish interfaces and Urbanimmersive is already planning on adding other languages in coming months. « In the last year, we have been focusing on establishing a strong customer base with industry leaders in our local french market and the new multilingual version is part of the organization's ongoing efforts to expose our solution to real estate professionals, visual content providers and writers all over the world », said Ghislain Lemire, Urbanimmersive CEO.